After so many people counted him out, Carolina Panthers Quarterback Cam Newton silenced critics with a record-setting rookie season. Newton threw for over 4,000 yards and completed 60% of his passes-two things the great Peyton Manning didn&apos;t accomplish as a rookie. 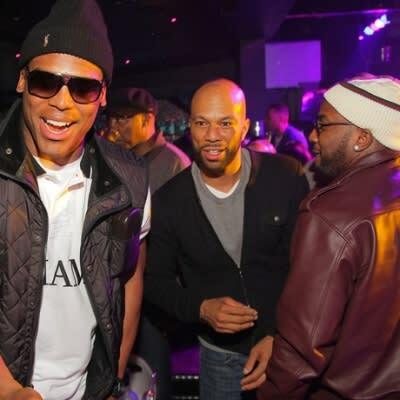 And let&apos;s not even discuss the rushing TD&apos;s.
Manning also never rolled with rappers (as far as we know), but Newton appeared at Atlanta&apos;s Club Reign on Friday night with Jeezy to attend a party hosted by Common. After running away with the Sporting News Rookie of the Year award, Newton will replace Eli Manning in the Pro Bowl on Sunday. "Celebrate" was most likely played. Salute this man.